I found myself standing in front of the open refrigerator yesterday at 5:30 with a package of chicken breasts in my hand, wishing I could think of something new to do with them. Then I remembered this recipe. 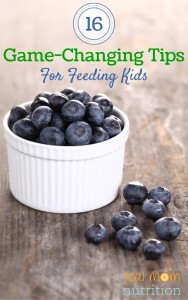 It was developed by the Cooking Light test kitchen for my book Cooking Light Dinnertime Survival Guide: Feed Your Family. Save Your Sanity. It’s a healthier riff on fried chicken, with a nutty coating and a decadent-tasting drizzle of honey. I forgot how good this recipe is. My ten year old declared it “awesome” and had two helpings. And it’s fast: about 15 minutes of hands-on time if you’ve pre-chopped the cashews and rosemary (save time by tossing them together in a mini-chopper). You start by soaking the chicken in a mixture of Dijon mustard and buttermilk (I like using a pie plate for this). Meanwhile, cook the panko in a skillet for a few minutes to achieve a golden color. Then combine the panko, chopped cashews, rosemary, salt, and pepper in a dish. 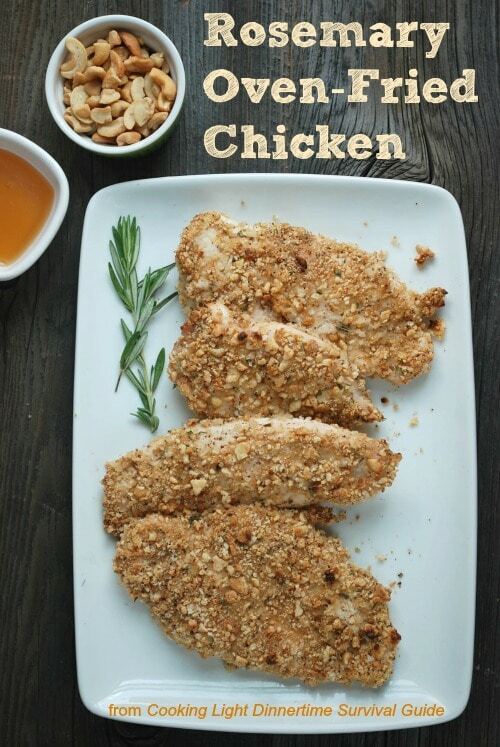 Dredge the milk-coated chicken in the mixture and place on a sprayed cooling rack set inside a baking pan. When it’s done baking, drizzle a teaspoon of honey over each cutlet and serve. 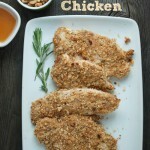 If you have chicken breasts instead of cutlets, slice them in half horizontally. Then place a piece of plastic wrap over each piece and pound them with a mallet (or press firmly with the heel of your hand) to flatten. If you don’t have buttermilk, use regular milk. If you don’t have cashews, use the nuts you have on hand. If you want a less spicy coating, leave out the ground red pepper. If you don’t have time to cook the panko, skip that step. Combine buttermilk and mustard in a shallow dish, stirring with a whisk. Add chicken to buttermilk mixture, turning to coat. Heat a small skillet over medium-high heat. Add panko to pan; cook 3 minutes or until golden, stirring frequently. Combine panko, cashews, and next 4 ingredients (through ground red pepper) in a shallow dish. 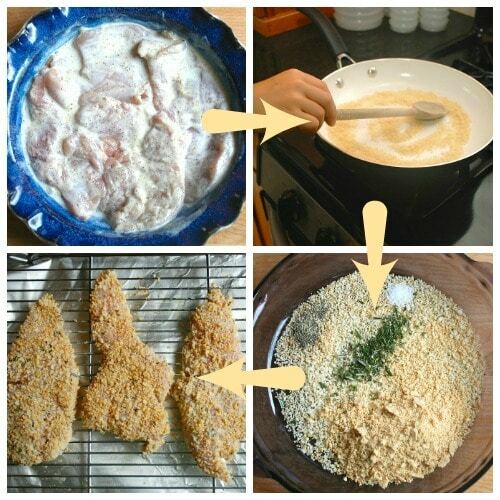 Remove chicken from buttermilk mixture; dredge in panko mixture. Arrange chicken on a wire rack coated with cooking spray in a foil-lined jelly-roll pan. Bake at 425 degrees for 25 minutes or until chicken is done. Drizzle each cutlet with 1 teaspoon honey. 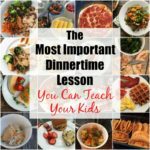 This recipe also appeared in an e-book about cooking with kids that includes photos of my boys helping me make this recipe, plus other recipes from food bloggers for dishes like Sticky Maple Chicken Wings and Roasted Tomato Bruschetta. 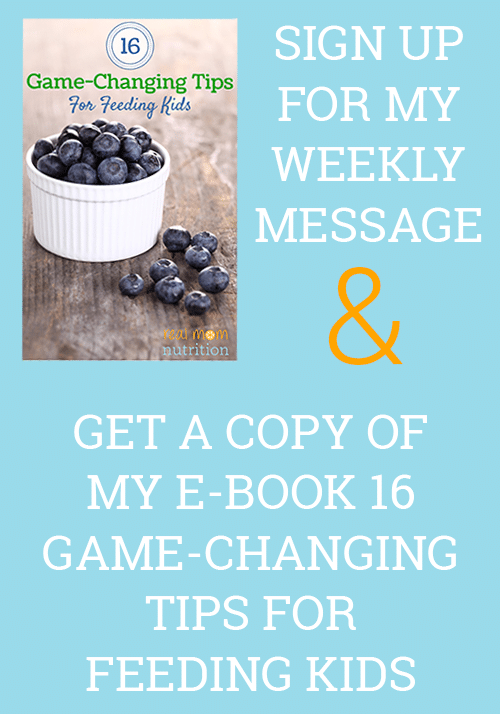 You can get the e-book here. For another chicken recipe from Dinnertime Survival Guide , check out these Easy BBQ Chicken Kebabs. 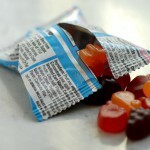 Disclosure: This page contains affiliate links. If you purchase a product through these links, your cost will be the same but I will receive a small commission to help with operating costs of this blog. Thanks for your support! 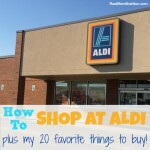 How to Shop at ALDI + My 20 Favorite Things to Buy! 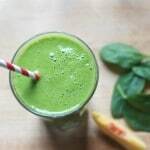 This has become one of our favorite recipes!